The Playgoer: How Good is McKellen's "Lear"? 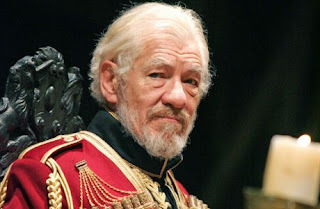 How Good is McKellen's "Lear"? Nobody knows. Officially, that is. RSC is keeping the London critics at bay as long as possible. But that won't stop Maxie at the Guardian from summing up the chatter. Hint: it's not overwhelmingly positive. The word "operetta" is even used. What was Trevor Nunn thinking? If you were planning on waiting till it gets to BAM this September, it's already sold out. As are the three performances of The Seagull where Sir Ian will make an appearance as Sorin.